Several studies driven by the Eurostat Directorate-General of the European Commission reported that the number of high school students choosing CS in university is decreasing (Eurostat, 2010). Other official associations confirmed this information, reflecting the declining tendency in CS studies in Europe (OECD, 2011). Related to these results, investigations were made about the possible consequences of this decline. Already in 1995, Rifkin for example, highlighted the negative results that might take place if no measures are taken to stop this decrease. Other efforts try to engage future engineers with specific techniques in order to preserve the number of students in the field (Adams et al., 2011). According to this, to develop preventive strategies for retaining interest in CS, it is important to first understand why students are motivated to reject this domain of study. This article presents findings from a survey conducted in 2010 among university students who were asked to give details about their choice in university. The study was designed to better understand the social perception of CS and to identify how these perceptions influenced the student’s choice. The investigation consists in discovering the attractive points of CS perceived from the part of students. Additionally, it will list the negative aspects that motivate a student to follow domains out of CS. Further investigations will take these negative points and transform them into strategies to make the career more attractive to students. A literature review identifies related publications and, as a background, the economic and educational impact resulting from a decreasing CS in Europe. This impact represents the motivation to drive this study as it explains the importance in increasing the number of students in the field of CS. Then, the sample and methods are explained. Here the demography coverage, target of the investigation and data collection methodology are defined. Then, the obtained results are explained and allow discovering the motivations to follow or reject computer science in university. Finally, the discussions in this document will explain the results along with the conclusions presenting the main contributions of this article and the incentives of future studies. This article is motivated by the declining interest in CS studies in Europe highlighted by Eurostat in its last report (Eurostat, 2010). Some investigations conducted in countries with similar economic development as in Europe, perceive the same decline, along with the same consequences. According to the CSTA (2010), “decreasing numbers of student enrolments, graduates and computer science courses offered in curricula have set off a general alarm in Canada, the United States and Europe” (retrieved from http://csta.acm.org/Research/sub/CSTAResearch.html on 06/06/2011). Nagel (2009) stated that this was considered a serious warning sign as they discover that fewer schools are offering CS classes, which means fewer students are being formed with CS skills. Other related concerns are teacher certification levels and a lack of solid information to help understanding and fighting this problem. The significance of discovering the motivation of CS rejection is driven by the negative consequences that can take place in Europe if the number of CS students continues declining. European industries are suffering an imbalance in the low number of students choosing to follow CS and the high demand from industry. The main consequences have been identified for the economic and educational sectors. As remarked by Hanushek (2006), it exist “basic evidence about the very substantial impacts of general cognitive skills on individual earnings on economic growth” (p. 452). An investigation driven in 2010 determined the negative consequences of a declining interest in computer science in Europe. This publication identified several economic and educational situations that can be altered considering the number of students enrolled in computer science (Porta & Maillet, 2010). The results from this investigation are presented below and provide an overview this situation. In general, when the stakes of an industry are reduced in number of experts, it will cause an increase in the price of the good or service that these experts provide. The economic model of demand and supply shows a comparison between the market price of a product or service and the offer and demand of the same, i.e. the less production of a good or service; the most expensive it is (Henderson & Hubert, 1946). When this theory is applied, European development for technology is having less human force with a raising demand, which results in a price increase. Explained from this point of view the number of students and experts in the technological field is crucial to balance prices and promote the progress of the nation’s technology industry, because a low offer in the market of technology represent a more expensive local product. When analyzing this fact, it is difficult to determine whether the raising of the price is a consequence of the declining interest in CS studies or a reason. Some people may agree in the fact that having a high technology price makes the market low in job opportunities. In both cases (whether the increment of a price may also represent a reason to reject the domain or not), the economic theory on elasticity is proving that it sure can be a consequence. This increase in the price of computing development and the decrease of professionals in the industry can be related to the initiative of the companies that redirect or migrate their labor forces to foreign countries where development is not only as efficient as in Europe, but also where there is a greater available production capacity at a lower cost. An investigation conducted by IT Sourcing Europe Limited (the Nearshore IT Outsourcing Market Research and Consultancy) in 2010 determined the main reasons why European companies have a predilection buying technology outside Europe (IT Sourcing Europe Limited, 2010). As a result, “low cost” represented the main reason in 100% of the answers. This fact confirms the importance of the price raising detailed previously. Also, the lack of resources in-land appear to be one of the top three reasons (85% of the answers); confirming that the low number of computer scientists is in part responsible of this migration. According to IT sourcing Europe Limited (2010), “Regarding the most popular European outsourcing destinations for technology in 2010, the majority of the United Kingdom and Dutch companies (23% and 29% respectively) outsource their software/web development offshore (i.e. India, China, Philippines, Pakistan etc)” (retrieved online). Because of this, a negative impact will take place in the purchaser countries, because this migration can turn out in instability of the industry, due to the income reduce (increasing poverty of the country), the abolition of actual and future jobs, the reduction in local tax payment and most important, the absent of strategies to manage this impact. Predictions of job losses from shifting high-technology work to low-wage nations with strong education systems, like India and China, were greatly exaggerated. As remarked by Lohr (2006), “The concern is that misplaced pessimism will deter bright young people from pursuing careers in computing and, in turn, would erode the skills in a field that is crucial to the nation's economic competitiveness”(p. 23). It is important to highlight, that Europe can’t be certain of how much time the positive purchasing situation (low price) of technology can endure. Some countries, like China are already increasing their prices in technology development (Naughton, 2007). The reason is that a high demand of a product that remains at the same price, causes an artificial market that can cause prejudice to the country, therefore, it is needed to modify the market price to prevent economic damage (Henderson & Hubert, 1946). If the number of graduates in a specific subject is reduced or simply modified, there will be a similar reduction or modification in the number of professors in this discipline. Therefore, the difficulty to find teachers that provide students the knowledge and expertise to develop technology will increase. According to Brown, Ortiz-Nuñeza and Taylor (2011, p. 498), “the level of school resources available for careers guidance is determined in terms of the number of teachers”. Because of a low number in CS graduates, Europe might lose expertise in technology development and technology products. Therefore, it will be difficult to determine reasonable prices and good quality of the technological material when purchasing to providers. Purchasers (and other management professionals related to the acquisition of technology) can be well prepare to buy technology and software from other countries, but universities might be forced to include CS courses in management studies in order to teach them software development and therefore, be capable of determining good quality of these products before purchasing. The fact of reducing the number of CS students might represent less founds for the development of this educational sector, because institutions in charge of providing money to education will not invest in a career without students. Another educational impact is related to the migration of the human resources. Because of it, there is an increasing need to know other cultures and learn other languages to succeed in negotiations with providers outside Europe. Nowadays a person speaking several languages has a large number of job opportunities in Europe thanks to the companies that need interlocutors for their commercial exchanges. However, the culture and languages of the countries which are involved in technology development are not precisely related to the European (Williams, 2009). Therefore, Europeans might lose their strengths of speaking English, French, Spanish and German (more speak languages in Europe) and became weak when facing the opportunities that are presented to Chinese, Russian and other languages speaking countries. Following this example, we may find a certain number of investigations considering the importance of integrating foreign languages and cultures (like Chinese) to European countries. Not only in the name of technology development, but also because unique educational modules, courses and programs are being designed and evaluated throughout the Asian region, evidencing issues, challenges, opportunities and initiatives related to the education of technology (Bonk, Lee & Reynolds, 2009). As a conclusion, the low number of students pursuing CS in university can be detrimental for the development of the degree and may affect other sectors like the economic and educational one. In view of providing solutions to the decline and to avoid these consequences, it is necessary to create strategies that can attract and retain students to the field. In order to do this, it is primordial to understand the reasons of CS rejection from the part of students. The following section presents the results of an investigation that will highlight these reasons. The investigation used a 5 question survey available in appendix A of this document. The date of the report corresponds to October 2010. -Question one of the survey concerns the identification of the student’s choice in university. -Question two, will identify the reason to follow the respective domain with a multiple choice answer; however, the question allows participants to add his or her answer if the choices did not correspond to their judgment. -Questions three and on, discover the reasons of CS rejection. This part of the subject is represented with open questions, providing the possibility to express the answer, without inducing it. This fact makes it possible to obtain more exact results, as you are not prompting the participant any ideas. After collecting the information, a data base was created with the accumulation of answers. Then, these answers were classified according to the related subject response. This system is more effective than automatic multiple choice questionnaires, in which the answer is induced by a suggested list of expected results. By using this method we collected both the required answer and the testimonial of the participants. An example of the tabulation is provided in Appendix B. The study was conducted among a sample of 370 Ph.D. university students from two institutions of higher education: Telecom & Management SudParis, France (131 answers) and the Universitat Politècnica de Catalunya, Spain (162 answers). Also, the participation of PhD students attending the Joint European Summer School on Technology Enhanced Learning in 2010), expanding the geography coverage of the survey (77 answers). Participants from Germany (31) Greece (19), Portugal (14), Slovakia (6), Estonia (4) and Lithuania (3) figured between the answers of panelists attending JTEL summer school and answering to this survey. Figure 1 represents the geographic distribution of the survey answers in percentage. Target one: 230 answers (62%), students and professionals from the CS field, from which 103 participants (45%) were women. This target will identify the cause that motivated them to pursue CS studies by pointing out the different reasons that impulse them to follow the domain. They will also be able to determine the aspects that can be enhanced concerning the image of computer science by signaling them according to their experience. As CS can have different branches, we took System engineering (the most popular CS studies) as a reference, also known as Informatics or software Engineering. A system engineer is the person that understands, develops, maintain and use computing systems. Thanks to unique competencies such as the understanding of mathematical logic, algorithms, programming, DB, data modeling and operative systems; this person is capable to answer to a specific demand in the market: the creation, use and maintenance of software (Porta, Maillet, Mas & Martinez, 2011). Target two: 140 answers (38%) were students from other fields of study, from which 73 participants (27%) were women. We considered important the fact of interviewing this target, as it will identify the reasons of CS rejection by pointing out the different motivations to pursue other domain of study and by declaring why they didn’t follow CS. They also pointed out why they follow other domain of study, bringing the possibility of comparing both (CS and other domains) motivations. Among the studies that where compared to CS figured management, marketing and psychology. Figure 2 reflects the gender and the professional distribution of the total target. The quantitative investigation used a survey as an instrument of answer collection. It could be filled online (35% of responses – standard error 0.3) or as a guided personal face to face interview to the participants, in which the question was explained and the students were confronted to give an honest answer (65% of responses – no error considered, but it can’t be exactly determined). The questionnaire was design using the online tool (Polldaddy) that will automatically collect the answers and facilitate the tabulation of information. The result of this survey was completed by an ethnographic investigation that takes into consideration remarkable theory, historical facts and scientific publications to prove the pertinence and veracity of the survey’s answers. This complement can be found as applied references along each section and in the discussion of this article. This section provides the results obtained from analyzing the collection of reasons, ideas and perception from the part of students. Question 1 represented the demographic information included in the target description of this document. Hence, the results of the study start in question number 2 here below. Q2. What are the motivations you had to follow your domain of study? The answer to this question permitted to gather the critical success factors of the domain for those students enrolled in CS. It will also aloud to compare these results to the motivations indicated by students in other disciplines. Among the results, 136 of the 230 CS participants (59% of target one) were attracted to follow CS studies because they were “highly passionate” for technology. This represents the main reason of their choice. A total of 37 participants (16%) don’t know the reason that motivates them following these studies and 32 participants (14%) was attracted to good offers in the industry. Other answers indicated that the career matched some teenager dreams (like construction of robots) or that they enjoy working with computers (11%, 25 responses). The diversification of the participants permitted to discover the differences in the motivation to study disciplines outside of CS. Table 2, Figure 4 represent the motivation from students to follow studies outside CS. Indeed 42 responses (30% of target two) that do not followed CS in university agreed that their decision was made in front of the opportunities in the market and the job offer tendency. This fact highlights the low importance in CS job offers and salaries when compared to other disciplines. A high percentage of the answers also represented the passion for the domain (27%, 38 responses). Among other answers (23%), some students agreed that the reason to follow their respective domain was due to the presence of it in the family or the fact of considering themselves skilled to it and 20% of the participants ignore the motivation they had to follow their studies, at the moment of choice. Q3. In your opinion, what are the reasons that prevent a person from following CS studies? This question was answered by both targets. When students pursuing careers out of CS pointed out the reasons that motivated them to reject the career; Students already involved in CS were capable to identify discrepancies that can be appreciated only if you belong to this field (studies vs. Job offers, salaries, professional activities, etc). The answers to this question allowed us to conclude that image is one of the points that need to be enhanced when trying to control the low number of students in CS. When 40% of the total simple agreed that the CS stereotype represents an image issue for them while choosing a field of study, 32% pointed that fear of the career’s content is the main reason (which can also be an image problem). Other reasons like the gender gap and underestimation of the career’s content are to take into consideration. One of the main reasons retaining students from following CS studies is the image perception that this career reflects. Between the answers words like “geek”, “nerd” or “lab rat” were applied in order to identify this image, meaning that the person that follow this studies is identify as not very successful in social life. This represents a wrong stereotype, but still is changing the mind of high school students, who as teenagers will refuse the idea of becoming social-rejected in university. Along with this misunderstanding, the idea of the CS’s role in a job or society is not clear in the student’s mind. They pointed out that the social image is not well identified, they consider that “other careers like medicine, military and even a builder are more clear to us as they are represented with lots of examples and defend their role in society in a better way” (from the survey results). Additionally, researchers are concerned about Engineering not being clearly enough in terms of discipline clarity and content (Jesiek, Lynita & Borrego, 1999). Other efforts are driven in order to highlight the importance of personal beliefs while learning (Yang & Chang, 2009), arguing that an important psychological part of learning consist in understanding how learners deal with things emotionally. The fact that CS requires a strong background in mathematics and algorithms is a major fear which prevents students from enrolling. However, during this investigation, some professionals argued that this difficulty is easy to overcome when you really wish to become a scientist. They suggest that resources should be provided to students to improve their level in these subjects to help them affront their fear of mathematics. Other references agree that the reason why a student does not choose CS or does not feel attracted to technology as a field of study is related to the degree of difficulty these careers reflect and protest about CS curricula having many unrelated courses in the program (such as non related mathematics). Students point that the courses need to be more align to what industry will demand from them after concluding university studies. The introduction of this unrelated subjects to computer science programs make the studies longer than it should be and impede the concentration in the real skills to become a professional (Plice & Reinig, 2007). This fact can be related to a pedagogical pattern that has been misunderstood. As stated by Sharp, Manns and Eckstein (2003), the way you teach and the image of the content may have a relevant impact towards the students’ attitudes. This answer allowed us to see that women still feel that some scientific studies related to CS are not attractive. They pointed out the time requirements, the lack of other women that will accompany them in their careers, the negative image the career has when it comes to feminine motivation, etc. Having this problem pointed out between the first three answers, remind us how important and how concerning this difference is. Another study can confirm this fact, by marking the different perceptions between male and female while using technology. According to Kay (2009), “male students had significantly more positive attitudes than female students with respect to student involvement, assessment and perceived learning” (p. 731). Another conclusion was that in general, male students are more motivated when using technology pointing a problem that merits to be investigated. These results contribute with other investigations that intend to tackle the gender problems in engineering education (Amelink & Creamer, 2010). Experts in the CS faculty are likewise concerned with student attitudes: Wing (2006), affirms that “computer science is not just programming” and argue that faculty must consider ways to move students toward the idea that “The work you do in computer science in the real world requires a lot of creativity,” not only programming and that it can be dynamic (p. 33). Additionally to the reasons to follow or reject CS studies, other important information was obtained during this investigation. These results are presented as follows. Q4. In your words, what is the definition of CS and what is the definition of a Computer Scientist? It exist certain incoherence from the part of students while answering to the description of computer science. The fact of comparing these perceptions to their concept about the professionals in the field made it worst. By recollecting the information we realize that this concepts can be fuzzy even for students enrolled in it, or that they does not identify themselves as computer scientists even when they are involved in studies such as: information technology or computing researcher. Many of the participants identify CS as the discipline from which computers and robots will result (47%, 174 responses); dough this kind of materials depends on the collaboration of several engineering types (and even other professionals). Some participants ignore the definition of the domain (27%, 101 responses). Few of the participants, related CS to the creation and maintenance of software (18%, 68 answers); and the administration of software development (7%, 27 responses). Table 4 and Figure 6 show these results. When it comes to understand their perceptions about a computer scientist most of the answers that identifies a correct role relate it to one specific function i.e. programmer, administrator, supervisor, professor in the field… This fact might be related to their own function as a computer scientist. The answers to this question help us confirming one the reasons pointed in question 3, agreeing in the fact that the domain needs to be clarified and valorized from the part of professionals and students. Q5. Do you think CS is still affected by a low number of women in it? Some conclusions related to this question have already been analyzed in question 3. Students pointed out that the imbalance of gender diversity in the studies represents a reason to follow other domains where women are more present. In terms of responses, 62% of the students directly agree that the career is affected by a low number of women in it. Figure 7 illustrates these results. It is important to mention that among the answers, a total of 33 students and professionals participating in the survey, pointed out that the low number of women that share or have shared courses with them, happened to be extremely skilled in the studies. They highlighted this as an irony to the perception of the domain being reserved for men. Some of them mention that this is maybe a psychological factor due to the social pressure they have to affront. Other authors such as Ost (2010) have reached similar conclusions and affirm that in CS “females are found to be more responsive to grades than males, consistent with psychological theories of stereotype vulnerability” (p. 923). This investigation identifies that the main motivation from the part of students to pursue CS in university is “passion for the career”. This means that students feel attracted to the domain when relating it to some activities performed before university, those letting them get in touch with CS. This also indicates that the clear understanding of the domain is important at the moment of choice. According to the comparison with other disciplines, job offers and salaries in the market could be enhanced to attract more students to CS. As it was indicated, the salary incentive is the main motivation for choosing other studies (e.g. management, marketing and psychology) and points the weakness of this alternative as quality indicator for CS. Several authors suggest that industry could do more to improve job offer and salaries to valorize the career, highlighting that the low industrial activity and the salary offers in European countries is retaining students from following CS (Koppi, Sheard, Edwards & Wilson, 2008; Rifkin, 1995). Other investigations try to understand the motivation from students to follow CS in university (Madison & Deng, 2008; Clayton, Jackson & Waite, 2010). However, these studies present weaknesses to point out the reasons that retain a student to follow the discipline. Concerning the motivations to reject the career, logical stamens were highlighted from the part of students. The first one concerns a wrong image perception, as students do not feel attraction to the stereotype that represents it. Other problems related to the image of the career were highlighted in the investigation such as the identification of the professional profile from the part of students; i.e. the role of a computer scientist is not clear for students at the moment of choice; hence they reject these studies while entering university. Related to this, students do not have a clear idea of the content in the career and they underestimate the skills that can be acquired by pursuing these studies. The second reason of rejection is the degree of difficulty this domain seems to contain. Related to this, the curricula and programs in university do not seem to be correctly aligned to the work that is going to be demanded in industry, as it contains many unrelated courses. This fact makes the studies longer and the achievement of them more difficult than it really is. Another cause related to this rejection is that teaching and learning methods do not seem to be attractive to students, other teaching alternatives are proposed to them in order to provide solutions to this matter e.g. Web based learning (Tsai, 2009). Plice and Reinig (2007), agree in the necessity of matching CS curricula with the needs of industry and graduates and argue that “the curriculum could be better aligned with the career needs by adjusting the balance between technical and business content” (p. 22). Other investigations have also attempted to modify the CS program, as they estimate that this one is not well adapted to the industry needs (Gorgone, Courger, Gordon, Feinstein & Longenecker, 1994). Lewis, Jackson, and Waite (2010), pointed as a conclusion “students in this domain complain that the curriculum in CS covers many disconnected topics and highlight that students perceived the career as very difficult and assistance demanding” (p. 24). This fact alter the perception of the students entering university, who fearing the erroneous content perception and think that high school preparation is not enough to pursue CS. Additionally, another explanation of rejection is the gender gap. Women do not feel attracted to a career that presents some gender differences and female exclusion. This fact can also be related to the wrong image perception of the career, as CS is not reserved for male. It is important to remark that strategies designed to attract women to CS represent a great opportunity to increase the total number of students in this field. Other investigations are making an effort to increase gender diversity in engineering degrees, because they estimate that the number of women enrolled is still very low (Gil et al., 2010), and also because this means increasing the number of students in general. According to Mahar, Corbit and Wofford (2009), “Virtual world technology also holds promise for attracting and sustaining technology engagement with a diverse population of undergraduate students” (p. 89). After analyzing the possible consequences of the declining interest in CS studies, it is determined that understanding the reason of this decline is very important to provide strategies that control this phenomenon. When analyzing the results of this investigation it is evident that CS represents an attractive domain for high school students, those finding passion in technology and following related careers. However, many students reject the domain and point different reasons. As main conclusion, students reject CS because of an erroneous perception of the domain’s program. The high degree of difficulty perceived by students during high school is retaining them to follow these studies in university. Other reasons concerning the image of the career (wrong stereotype, misunderstanding of the role of a computer scientist in society and industry) cooperate in reducing their interest. Additionally, the gender gap and the learning and teaching methods were also highlighted among the main answers. As a future work it is recommended to take the results of this investigation to create strategies that can reduce the impacts of a low number of computer scientists in Europe. A first suggestion is that the usage of technology may be introduced to CS programs, as a complementary method to acquire the skills to become a computer scientist and help them loosing fear of technology (Tsai, 2009). Other efforts have been done in order to adjust computer science education (Feea, & Holland-Minkleya, 2010). As remarked by Kim, Park and Baek (2009), tackling some perceptions about CS being difficult, not interesting and reserved for a specific stereotype can be possible thanks to the usage of new dynamic teaching methods. Other suggestions concerns the clarification of the careers content, as the specific list of learning outcomes after concluding the studies and the specification of the professional profile that is still not clear for the students. Adams, R., Evangelo, D., English, L., Dias, A., Mousoulides, N., Pawley, L., Schifellite, C., Stevens, R., Svinick, M., Trenor, J., & Wilson, D. (2011). Multiple Perspectives on Engaging Future Engineers. Journal of Engineering Education, 100(1), 48–88. Amelink, K., & Creamer, E. (2010). Gender differences in elements of the undergraduate experience that influence satisfaction with the engineering major and the intent to pursue engineering as a career. Journal of Engineering Education, 99(1), 81-92. Bonk, C.J., Lee, M.M., & Reynolds, T. (2009). A Special Passage Through Asia/ E-Learning. Proceedings of AACE conference, Vancouver, 72 (1), 81-97. Cusso, R., Fernandez, M.J., & Gil, M. (2009). ICT4GIRLS Compartiendo experiencias de tecnología de la información y la comunicación (TIC) desde secundaria a la universidad. Gil, M., Fernandez, M., Cusso R., & Crusafon, C. (2010). Real projects to involve undergraduate students in CS degrees. 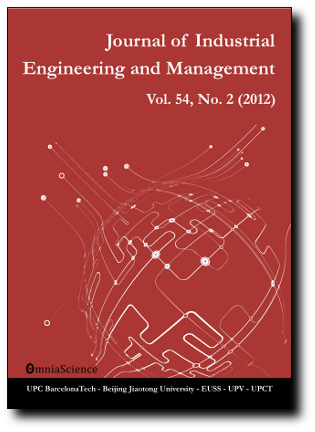 Proceedings of the Annual Global Engineering Education Conference, IEEE Madrid, 835–838. Gorgone, J., Courger, D., Gordon, D., Feinstein, G., & Longenecker, H. (1994). Information systems ’95 curriculum model- a collaborative effort. ACM SIGMIS Database, (25)4, 72-80. Henderson M., & Hubert D. (1946). The theory of elasticity in price (pp. 97). Hancourt Editorial. Jesiek, B., Lynita, K., & Borrego, M. (2009). Engineering Education Research: International Review of Engineering Education, 2(1), 1940-1116. Koppi, T., Sheard, J., Edwards, S., & Wilson, D. (2008). The crisis in ICT education: An academic perspective. Proceedings of Ascilite, Melbourne, 154-172. Madison, S., & Deng, M. (2008). Attracting females to the computing sciences. Proceedings of the Association for the Advancement of Computer and Education. Vancouver, Canada, 17-32. Mahar, J., Corbit, M., & Wofford, J. (2009). Virtual outreach through virtual worlds, a model for attracting and keeping women in computing. Proceedings of the World Conference on E-Learning in Corporate, Government, Healthcare, and Higher Education 2009, Vancouver, Canada, 5(1), 87-95. Naughton, B. (2007). China anxiously faces a future of rising prices. China Leadership Monitor, 1(22). Plice, R., & Reinig, B. (2007). Aligning the information systems curriculum with the needs of industry and graduates. Journal of computer information systems, Fall 2007, 22–30. Porta, M., & Maillet K. (2010). Consequences of the declining interest in computer science in Europe. Proceedings of the IEEE Educon 2010, Madrid, Spain, 21(7), 71–76. http://dx.doi.org/10.1109/EDUCON.2010.5492597. Tsai, C.C. (2009). Conceptions of learning versus conceptions of web-based learning: The differences revealed by college students. Computers and education, 53, 1092-1103. DOI: 2009-12-00. Williams, A. (2009). Lessons in Mandarin Chinese-language school near reality. New York Times. Survey used during the investigation to recollect the information. 2. What are the motivations you had to follow this domain of study? 3. In your opinion, what are the reasons that retain a person from following computer science studies? 4. In your words, what is the definition of Computer Science and what is the definition of a Computer Scientist? 5. Do you think Computer Science is still affected by a low number of women in it? Exemple illustrating the data compilation and analysis. “Most of the data was obtained using open questions, in order to obtain answers from the participants, without inducing it with a multiple choice system. This fact makes it possible to obtain more exact results, as you are not suggesting any response. After collecting the information, a data base was created with the accumulation of answers. Then, these answers were classified according to the related subject response and then tabulated. By using this method we collected both the required answer and the testimonial of the participants”. Because computer science seems to be reserved to very smart people (with a specific personality) and I didn't feel identified with them. Because you have to be very skilled in Mathematics.